Burlington is home to more than its fair share of Himalayan food. In the past few months, Yangser Dorjee's Himalaya Restaurant and Dharshan Namaste Asian Deli have joined Sherpa Kitchen in bringing high-altitude Asian flavor to Burlington. Every one of those businesses owners felt the impact of the earthquake that hit Nepal in late April. And this weekend, another local business, Sherpa Foods in the Old North End, is hosting a benefit dinner to raise money for people in the disaster zone. 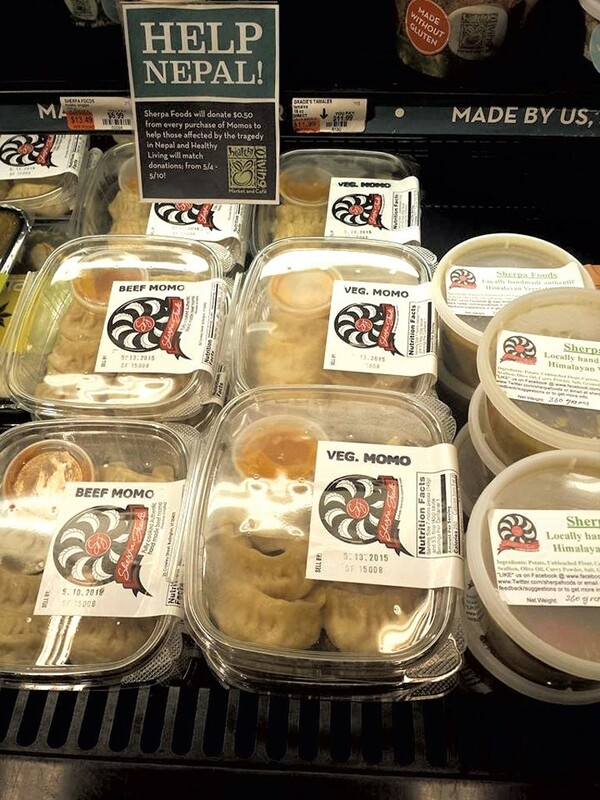 Founded by Nurbu Sherpa and several members of his family in October 2014, Sherpa Foods has been quietly turning out momos (Nepali dumplings), stews and other prepared snacks for area retail stores including City Market/Onion River Co-op, Healthy Living market & café, Sweet Clover Market and Hunger Mountain Co-op. On Sunday, May 17, at 5 p.m., Sherpa Foods will serve a $20 family-style meal at North End Studio A. The menu features fresh curries, momos and mango lassi. Sherpa urges interested diners to buy tickets in advance so his team can make the right amount of food. Dinner will be accompanied by information on the region and a brief video on the earthquake — nothing graphic, Sherpa promises. "We have a lot of cousins, uncles and relatives in Kathmandu and in the Khumbu region," Sherpa says. "The first couple of days were really tough. There were no phone lines, no internet. We couldn't get any response. It was terrifying." Though his friends and relatives survived the quake, Sherpa says nearly all lost their homes and remain in need of basics such as clean water and blankets. Though money has poured into international aid organizations, material aid has been slow to arrive. "People are donating to these big organizations, and they do a great job helping people," Sherpa says. "But it's taking too long to trickle down to the people in need right now. There are so many supplies and food, and everything is stuck at the airport. There are photos of rats eating the food at the airport." So Sherpa plans to wire proceeds from the dinner straight to responsible parties already on the ground in Nepal, including a friend who belongs to the Nepalese American Nurses Association and will help with distribution. "She told me, 'You know people; just send it to them directly just so they can survive the day-to-day until tomorrow,'" he says. Sherpa — who has a background in business — hopes the grassroots approach will help pick up the slack until the big NGOs can help. At the dinner, Sherpa Foods will also accept donated disaster supplies such as tents, water filters, tarps and blankets. Tickets can be purchased at northendstudios.org. The original print version of this article was headlined "Eat Local, Think Global"